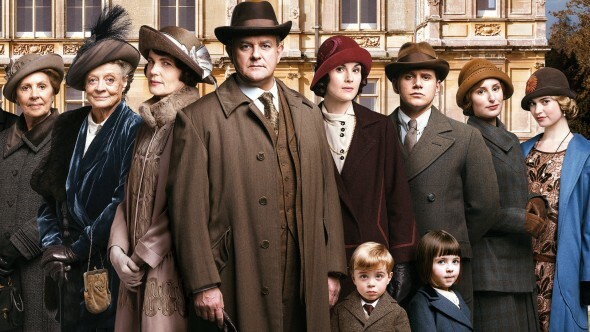 Downton Abbey is coming to the big screen. Vanity Fair reports the original cast is reuniting for a film based on the hit ITV series. The period drama, which aired on PBS in the U.S., follows the lives of the aristocratic Crawley family and their servants during the early 20th century. The cast includes Hugh Bonneville, Jessica Brown Findlay, Laura Carmichael, Jim Carter, Brendan Coyle, Michelle Dockery, Kevin Doyle, Siobhan Finneran, Joanne Froggatt, Thomas Howes, Rob James-Collier, and Allen Leech. The show ran for six seasons before ending in 2015. After years of rumors about a Downton Abbey movie, Vanity Fair confirms the original cast, including Maggie Smith, Michelle Dockery, and Hugh Bonneville, as well as creator Julian Fellowes are reuniting for a follow-up film. Shooting is slated to begin this summer. What do you think? Are you a fan of Downton Abbey? Are you excited for the movie? I look forward to it if Brendan Coyle and Joanne Froggatt are in it. Mr. Bates was my favorite. Wonderful news. My husband & I generally watch different programs but we both adored this quality production. The characters were so well developed we journeyed with each one through the good & bad times of their lives.